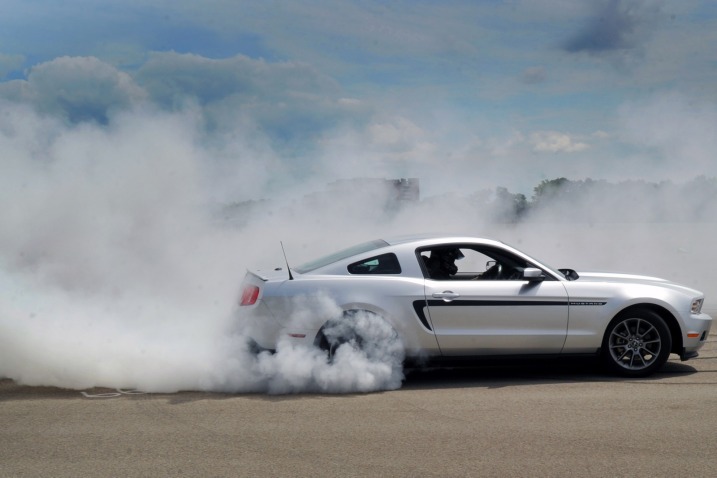 Ford has launched Octane Academy, a consumer-focused program aimed at a younger, the brand says "more diverse generation of action sports and race enthusiasts." get behind the wheel and race a car. Of the program, Ford Group VP said,"Today's Millennial generation is extremely influential so our job is finding new and inventive ways of communicating and connecting with them, which includes building our presence in the multibillion-dollar world of extreme sports. With an all-star lineup of drivers and vehicles, Ford is bringing fans directly into the excitement of action sports in a way only Ford can with the first-ever dedicated consumer experience for this energetic and expressive audience." When I sat down to listen to MRM Worldwide's session entitled Five Technologies That Will Transform Marketing Creativity, I expected to hear just that. Instead, all I got was an endless litany of the same old marketing blather concerning how everything is changing, how agencies and marketers need to break down the walls and blow up the silos to adjust to those changes and pointless platitudes pathway we all have to take to get there. Will.i.am rambled on semi-coherently about how he'd rather be using his phone during the session instead of a microphone because the microphone is old and doesn't let him do all the things his phone allows him to do. Driving that point home, he said, "Why are we still rockin' it like it's 1999?" Valid point but if I wanted to watch five people on stage madly manipulating their phones instead of focusing on the task at hand, all I'd need to do is look at the people sitting next to me madly tweeting instead of actually paying attention to what was being said on stage. Read the rest on Yahoo! Scene. 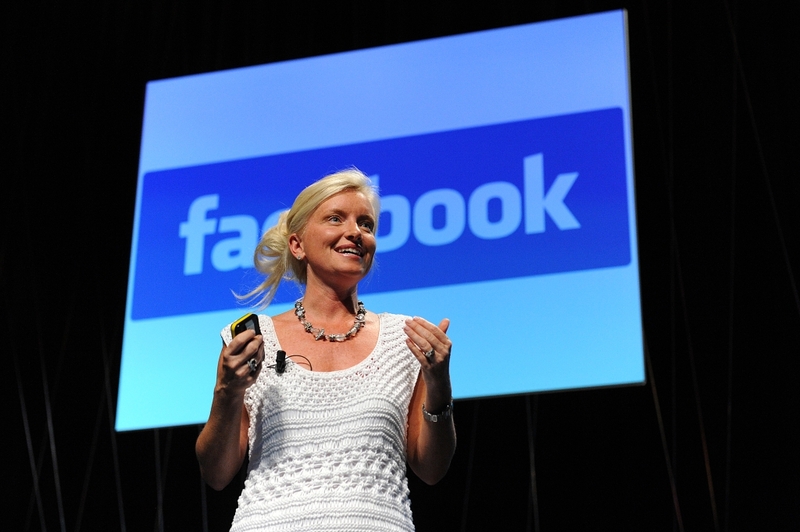 Facebook Global Marketing Solutions VP Carolyn Everson took the stage in the Debussy Theater at Cannes for the last session Wednesday where she shared with delegates some of Facebook's advertising initiatives for marketers. Topping the list was Sponsored Stories, a new product which leverages the power of word of mouth by placing a Liked page in the right hand column of friend's pages. In terms of the power of word of mouth, Everson noted research that showed 75% of new parents would rather get recommendations from friends on Facebook than anywhere else and 74% who make purchase are influenced by friends. 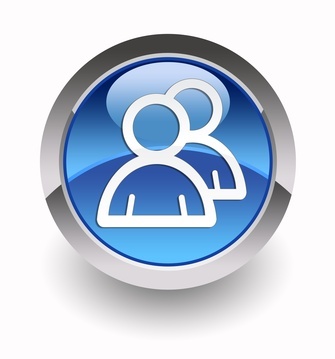 And 68% are more likely to recommend a product if the ad is on a friend's page. Hence leveraging these recommendations are what power Facebook Sponsored Stories. 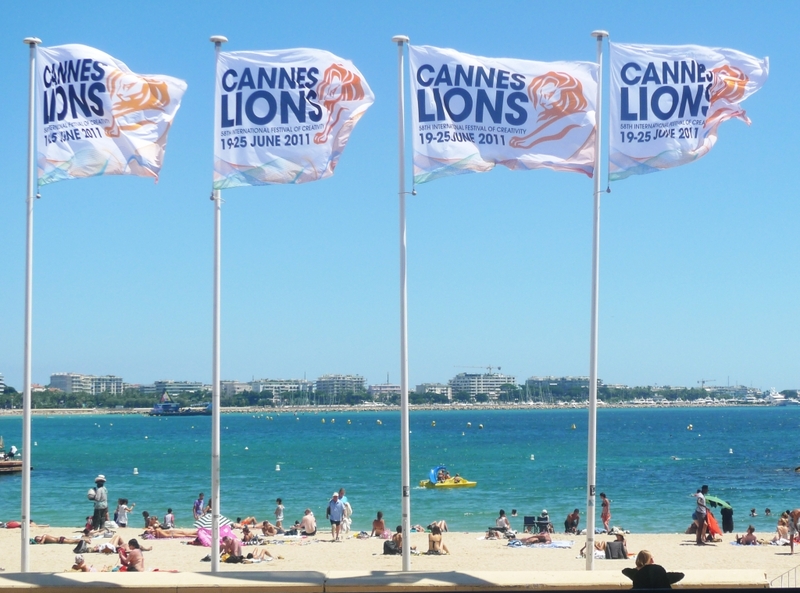 Nothing like slamming the infrastructure that forms the lion's share of the Cannes Lions Festival. But, hey, Eisenberg is right. The Holy Trinity of Omnicon, Publicis and WPP are big, bloated and slow moving. Which is probably why all kinds of people are all over crowdsourcing, the topic Mofilm's panel today. This work from Israeli agency E-dologic for Coke is simultaneously brilliant and a sad indicator the obsession with "checking in" has gone overboard. The agency added 10,000 recycling bin locations to Facebook Places. The goal, of course, was to capitalize on people's obsession with checking in to every last known location on earth. Oh, and to leverage that obsession to get people to recycle their Coke bottles as well. Apparently, it worked. Or at least that's what the agency's video overview of the project would have us believe. They've always said pigs can't fly, but who knew they could dance? 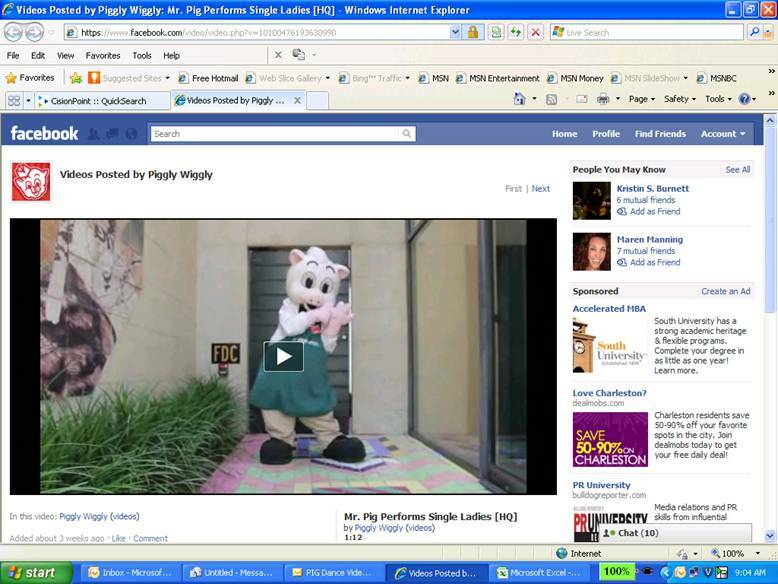 Piggly Wiggly Carolina Co. asked its Facebook Likers to vote for which music video "moves" they wanted to see mascot Mr. Pig perform to celebrate reaching 25,000 Likers. Choosing from Macarena, Mr. Roboto, Cha Cha Slide, Thriller, Cotton Eye Joe and Single Ladies, Single Ladies garnered the most votes and Mr. Pig took to the dance floor to show his moves. Rawle Murdy created the contest for Piggly Wiggly Carolina Co. If you are a travel brand, you may want to check out SocialRewards, a new social media-based loyalty program that allows brands to award those who make mention of the brand on Twitter and Facebook. Less like a pay per tweet program and more like your typical offline loyalty program, brands award points to people based on a sliding scale. For example, five points are earned for making a mention but up to 250 points are awarded if the mention leads to a booking at the destination. Accumulated points lead to awards such as discounts or free stays. Using a tracking mechanism, SocialRewards charges brands ten cents per engagement which is defined as a click, retweet, reply or Like. Here's a video of Soleil Moon Frye at Digitas' The NewFront talking about being a mom, getting into social media, how it's changed her life and what in the world to do with all those Twitter followers. At Digitas' The NewFront, Federated Media's John Battelle led a panel that addressed the importance of story telling, content that engages and strikes a cord and the importance of community. GE's Beth Comstock discussed the brand's Ecomagination campaign which invited people into the brand and asked them to be creative with the brand. Battelle highlighted the fact brands are not good at listening. They still think they can pull out the bullhorn and just tell consumers what to do. Addressing the concern over brand's creating content and the potentially biased nature of that content, SAP's Susan Popper said brands simply need to disclose the origin of the content. Consumers will be able to discern for themselves how biased or non-biased the content is. AMEX's Susan Sobbott said Publishing is difficult and expensive bit if you are not doing it as your primary source of revenue it can, in fact, be of benefit to a marketer. Here's Battelle's on take on the panel...and his six hours sitting on the tarmac at JFK. In an Internet Week panel entitled Financial Services & Social Media - Strategies and Tools for Managing Compliance Risk, issues no one wants to addressed were front and center. If you are in financial services and considering any social media initiatives, this panel would make you run screaming from the room and never want to think of social media again. Bottom line: if you publish in a regulated industry, you are regulated by SEC, FINRA, FDA, etc. You have to understand that the playbook is not yet written regarding social media compliance. There are good practices, not yet best practices. It's a potential minefield. This session was practically a long list of "don'ts".